Pip Stocks, CEO of brand research agency BrandHook, suggests marketers may be better at keeping up with ‘digital transformation’ if we call it by another name. There has been plenty written about digital transformation, but recently I have wondered whether ‘digital transformation’ is the right phrase for what is going on. 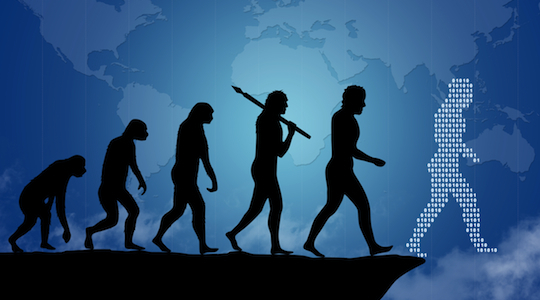 Maybe we should really be talking about a ‘marketing evolution’. The phrase digital transformation implies a one-off (albeit gargantuan) shift. Something that we only have to deal with once. But this world we are living in is not a one-off. It has resulted in ongoing shifts in consumer behaviour that have changed the way marketers should be thinking about their brands and their planned and unplanned activities forever. Few marketers are ready for this ‘transformation’, this rather large shift. Only 30% of them feel ready and prepared, according to an Accenture study last year. But if, in fact, we had called this a marketing evolution, would marketers have taken this more seriously? Would they have up-skilled, built a consumer practice and become so intimately fused with their consumers that they had no choice but to adopt this new way of marketing? This is not the first shift marketers have had to deal with. There was the move from radio to TV, the move from product attribute building to brand innovation, from putting products on a shelf to building engaging brand experiences. Why has this shift caught most marketers on the hoof? Probably because the consumer path to purchase, or as we call it, ‘the consumer wanderings’ has changed beyond recognition. It now appears random, ever-changing and chaotic – it quite frankly scares the beejesus out of most senior executives. Maybe instead of sticking their heads in the sand about this ‘transformation’ they could just think about their job as an ever changing dynamic discipline that needs constant attention and the regular voice of their consumer. We are in a marketing evolution, people, and one that we need to get on board with – now.